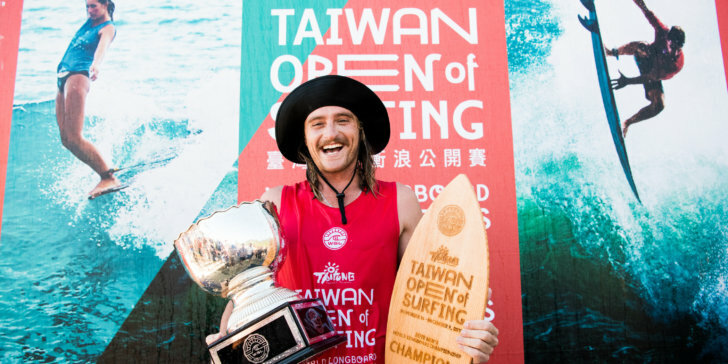 Steven Sawyer Claims Maiden World Longboard Championship at Taiwan Open of Surfing- Hawaii’s Kai Sallas (HAW) finishes Runner-up! Your 2018 World Longboard Champion Steven Sawyer (ZAF) on the winner’s podium at the Taiwan Open World Longboard Championship. Congratulations Steven Sawyer 2018 World Longboard Champion! 2-3ft. ESE swell, light variable winds. 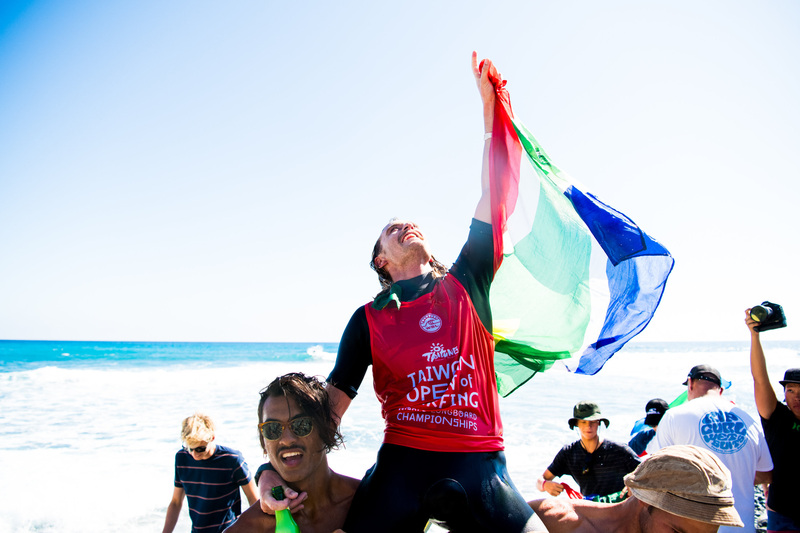 Jinzun Harbour, Taitung/Taiwan (Saturday, December 2, 2018) – South AfricanSteven Sawyer (ZAF) has just taken out the 2018 WSL World Longboard Championship at the Taiwan Open of Surfing in clean, 2-to-3 foot waves at Jinzun Harbour. Sawyer came up against Longboarding legend Kai Sallas (HAW) in an incredible 25 minute Final. 24-year-old Steven Sawyer was on fire all event but saved his best performances for the Final Day, posting excellent heat totals in all three heats, including a 9.50 single wave score in the Semifinal, the highest of the entire event. His combination of traditional longboarding manoeuvres with speed, power and flow was impeccable, and he needed it all to overcome Sallas in the Final to best his runner-up finish at the 2016 World Championship. Sawyer had a massive crowd supporting him on the beach who erupted every time he caught a wave, making the atmosphere electric. Your 2018 World Longboard Champion Steven Sawyer (ZAF) on showing incredible poise on the nose at the Taiwan Open World Longboard Championship. Your 2018 World Longboard Champion Steven Sawyer (ZAF) chaired to victory at the Taiwan Open World Longboard Championship. Kai Sallas finishing runner-up at the Taiwan Open World Longboard Championship. 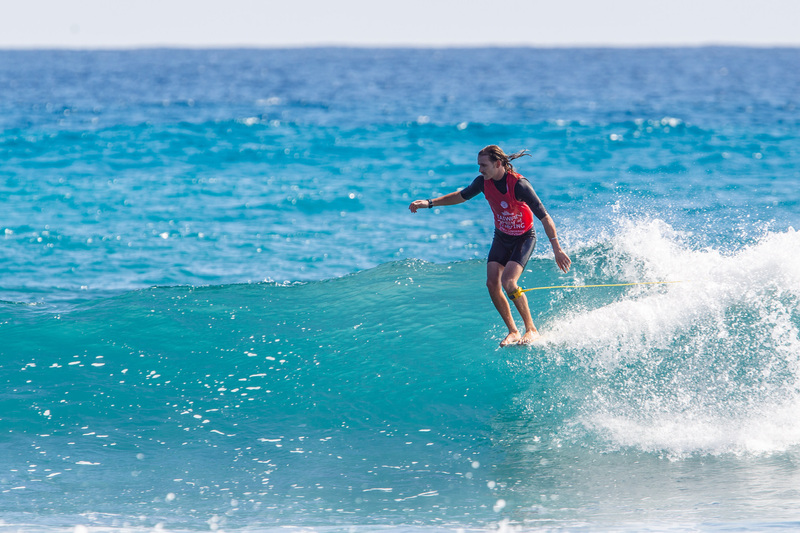 This year’s Taiwan Open of Surfing will continue tomorrow with the WSL World Junior Championships now that Men’s and Women’s World Longboard Champions have been crowned. 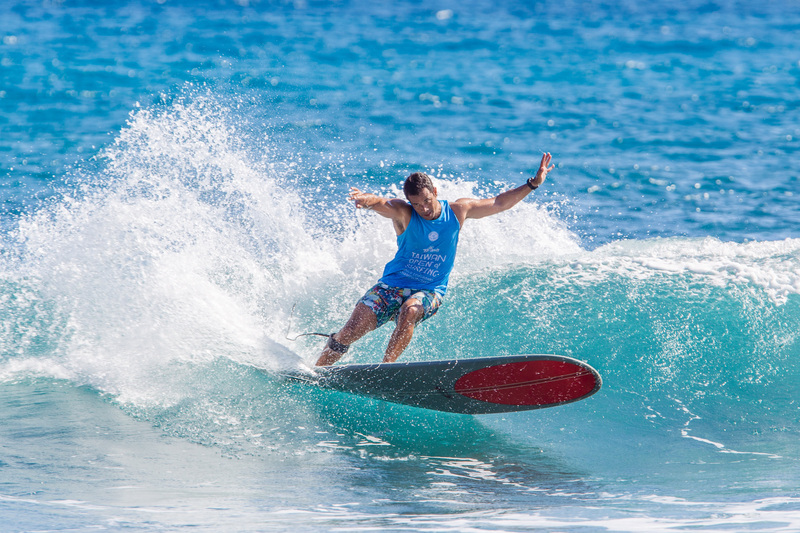 This is the first year in WSL history that the Junior and Longboard Champions will be crowned at the same event. Round 1 of both the men and the women are expected to start at 7:00 am local time. The best 18-year-old and under surfers in the world will do battle for the chance to join the historic winner’s list that features the likes of Andy Irons, Joel Parkinson, Adriano De Souza, Jessi Miley-Dyer, Laura Enever and many more.